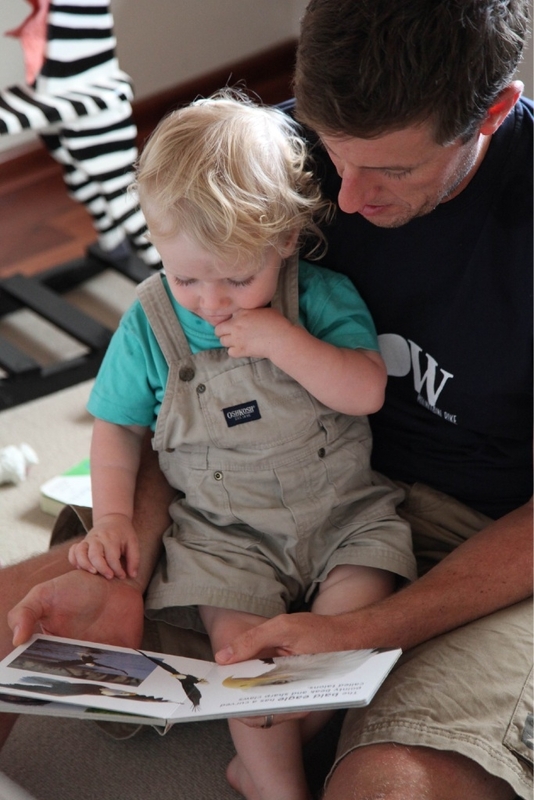 Brad Smith reads to son Oliver as part of Ngala’s Dad WA program. Keith Read said modern fathers were more involved than previous generations and it was important to acknowledge they could bring a different approach to parenting. �Dads can be accused of doing the fun parenting or exciting their children too much, but research tells us that the sort of parenting interactions that dads tend to have with their children play a very important role in growing happy and healthy children, particularly in the significant first five years of development,� Mr Read said. Fathers often liked to excite their children by being physical, using dad humour and through friendly teasing and playing games. Mr Read said as long as the baby or child felt happy and secure, this was beneficial for their physical and emotional growth. �Challenging and exciting children with age-appropriate rough and tumble play like swinging and lifting, chasey, or play fighting, and supporting them exploring and taking some appropriate risks helps them develop resilience, the ability to adapt and bounce back from setbacks we all face in life,� he said. The 2013 Western Australian of the Year, Bruce Robinson, leads The Fathering Project, a non-profit team that aims to help fathers realise how important they are in a child�s life and to give advice on how to encourage their children. Visit www.thefatheringproject.org.